One of the nicest things about Highland Park Fish Camp is proximity to downtown DeLand, just 4 miles away. 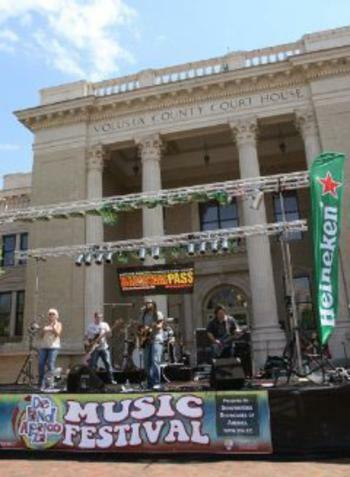 DeLand is one of the state’s small town treasures. DeLand is the county seat as well as a college town, with Stetson University’s campus classified as a National Historic District. Visitors enjoy notable gift shops and quaint restaurants. Founded in 1876 by Henry DeLand, the City is proud of its unique heritage and is rich in history and culture. DeLand delights visitors with all the possibilities and hospitality a small Southern town can offer.